Animal advocates are questioning where donations are going at the Connecticut Humane Society. Maureen Lord worked at the Connecticut Humane Society almost nine years, and says she was fired in December for union activity. Lord is part of the Coalition for Change, a group formed to question the power of president and board chair Richard Johnston. "I think right now it's important for Richard Johnston to go," said Lord. Lord says Johnston abused his authority, even expecting workers to babysit his daughter on company time. "One time I asked Mr. Johnston, I said, 'Well, shouldn't I be working on something more important for the agency?' and he said, 'Do you really have anything that's more important to work on?'" It's just part of allegations raised by animal advocates who claim animal care is suffering under poor leadership. The allegations prompted Attorney General Richard Blumenthal's office to launch an investigation. "Our concern is whether resources of the humane society have been misused or misallocated in any way," said Blumenthal, during an interview at his Hartford office. Newly released documents from the Attorney General's investigation show the probe focuses on whether Johnston used charitable donations to pay personal expenses, including purchases of liquor and fees paid related to his real estate and attorney licenses. NBC Connecticut also obtained other documents elsewhere showing the charity paid a $110 client security fee for Johnston in May 2009, which is a fund all attorneys are required to contribute to. Connecticut Humane Society general ledger reports show a $300 real estate fee listed with Johnston's initials in February 2009. A Connecticut Humane Society credit card statement in Johnston's name shows a $239 charge for liquor in 2008. By phone, board member Chris White said Johnston has acted as a realtor and attorney for the Connecticut Humane Society, taking no fee for himself. The liquor charge was for six bottles of wine given to staff members who worked an extra shift, said White. "Some of the claims raised by critics or potential whistle blowers have to do with use of resources for personal purposes," said Blumenthal. "We're investigating them because certainly they are serious. They involve significant amounts of money and we want to know whether the facts justify these claims." Richard Johnston has not responded to our requests for comment. 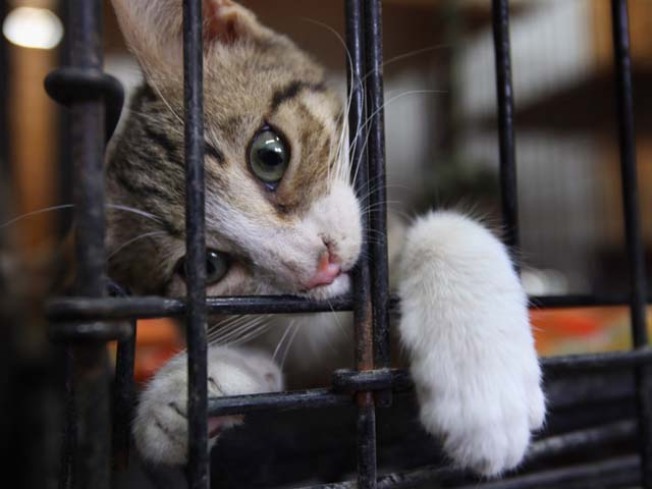 The Connecticut Humane Society Board of Directors is continuing its investigation into allegations raised by the Coalition for Change. The board has found no financial wrongdoing, according to White. Investigators have asked the Connecticut Humane Society to turn over 2008 bank account transactions, investment account statements, cash journals, and payroll records. Those documents are now under review at the attorney general's office. Documents from the investigation show it started in February 2009 after someone complained about board members getting business from the charity. Connecticut Humane Society financial statements show in 2006, the charity paid more than $259,000 to companies linked to board members or key employees. The services included animal care, property consulting, advertising, printing, legal, and other areas. In 2007, financial statements show that amount was more than $175,000. In 2008, tax returns put that number at more than $140,000. In a written response to investigators, the charity says such deals represent just three to five percent of its budget. "It's common for board members to do business with the non-profits they work with, providing savings to the organization that couldn't be achieved elsewhere," said White. In contrast, the national organization, the Humane Society of the United States, has a policy of not doing business with directors or their companies. The national organization is not affiliated with the Connecticut Humane Society. The initial complaint to the attorney general's office also contained concerns about whether the charity owns or uses a condo in Florida. Investigators asked questions. In a written response, the Connecticut Humane Society says Richard Johnston "knows of no such property." "There is no Florida condo. It doesn't exist," said White. Investigators have requested an accounting of all real estate donations to the charity since 2002. At this point, Blumenthal says it's not clear how much money, if any, has been misappropriated. "We are taking each claim and each allegation one by one," said Blumenthal. "We are fully cooperating, have answered all of their questions, and to this point the attorney general has found no wrongdoing and we don't expect them to," said White. The case remains open as animal advocates continue pushing for change. "It's too big, and old, and respected of an organization to let it kind of fall to the levels that it's fallen to," said Lord. To read part one of our investigation: click here.